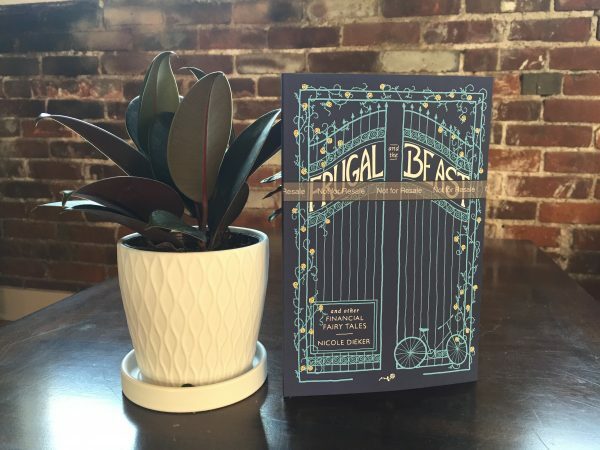 NICOLE: But the print proof for Frugal and the Beast looks pretty great, doesn’t it? NICOLE: At least a year ago. NICOLE: I wonder what superlative will be next. NICOLE: We need to do an update post for The Billfold soon. How much we spent on Sunday in the Park with George, that big purchase we made a month ago that we’ve been hinting about, the new plants we finally bought… I mean, I don’t know if they care about our plants, but we do! NICOLE: But we’re tired. Adding up numbers and making jokes takes work. From brains. NICOLE: We also had a request for a book recommendation open thread. NICOLE: LET’S DO THAT INSTEAD. NICOLE: Cool. You’ll get your update next week, y’all. NICOLE: OH WAIT WE SHOULD RECOMMEND A BOOK. NICOLE: Kayla Cagan’s Piper Perish and its sequel Art Boss. To follow yesterday’s discussion of the creative process. NICOLE: Also we know Kayla, and she’s GREAT. NICOLE: Stop calling everything great! It’s going to lose its meaning!